Anderson, J. B., and Bartek, L. R. (1992). Cenozoic glacial history of the Ross Sea revealed by intermediate resolution seismic reflection data combined with drill site information. In Kennett, J. P., and Warnke, D. A. (eds. ), ''The Antarctic Paleoenvironment: A Perspective on Global Change,'' Part One. Antarctic Research Series, Volume 56, pp. 231-263. American Geophysical Union, Washington, D.C.
Arntz, W. E., Gutt, J., and Klages, M. (1997). Antarctic marine biodiversity: an overview. In ''Antarctic Communities: Species, Structure and Survival,'' pp. 3 -14. Cambridge University Press, Cambridge. Baron, E. J. (1992). Paleoclimatology. In Brown, G. C., Hawkesworth, C. J., and Wilson, R. C. L. (eds. ), ''Understanding the Earth: A New Synthesis,'' pp. 485-505. Cambridge University Press, Cambridge. Baroni, C., and Orombelli, G. (1994). Abandoned penguin rookeries as Holocene paleoclimatic indicators in Antarctica. Geology 22, 23 -26. Behrendt, J. C. (1990). Recent geophysical and geological research in Antarctic related to the assessment of petroleum resources and potential environmental hazards to their development. In Splett-stoesser, J. F. and Dreschhoff, G. A. M. (eds.). ''Mineral Resources Potential of Antarctica." Antarctic Research Series 51, pp. 163-174. American Geophysical Union, Washington, D.C.
Berger, A., and Loutre, M. F. (1991). Insolation values for the climate of the last 10 million of years. Quat. Sci. Rev. 10, 297-317. Berkman, P. A. (1992). The Antarctic marine ecosystem and humankind. Rev. Aquat. Sci. 6(3,4), 295-333. Berkman, P. A. (1997a). Antarctic Science and Policy: Interdisciplinary Research Education (ASPIRE). Byrd Polar Research Center Report No. 13. The Ohio State University, Columbus. Berkman, P. A. (1997b). Ecological variability in Antarctic coastal environments: past and present. In Battaglia, B., Valencia, J., and Walton, D. W. H. (eds.) Antarctic Environmental Change and Conservation. Cambridge University Press, London. pp. 349-357. Berkman, P. A. (1998). Indicator species for interpreting environmental variability in the Antarctic coastal zone. Korean J. Polar Res. 8(1), 69-76. Berkman, P. A., and Forman, S. L. (1996). Pre-bomb radiocarbon and the reservoir correction for calcareous marine species in the Southern Ocean. Geophys. Res. Lett. 23, 633-636.
chemical variability. In Elliot, D. H. (ed. ), ''Contributions to Antarctic Research III,'' Antarctic Research Series, Vol. 57, pp. 27-38. American Geophysical Union, Washington, D.C.
Berkman, P. A., Andrews, J. T., Bjorck, S., Colhoun, E. A., Emslie, S. D. Goodwin, I., Hall, B. L., Hart, C. P., Hirakawa, K., Igarashi, A., Ingolfsson, O., Lopez-Martinez, J., Lyons, W. B., Mabin, M. C. G., Quilty, P. G., Taviani, M., and Yoshida, Y. (1998). Circum-Antarctic coastal environmental variability during the Late Quaternary recorded in emerged marine deposits. Antarctic Sci. 10(3), 345-362. Block, W. (1984). Terrestrial microbiology, invertebrates and ecosystems. In Laws, R. M. (ed. ), ''Antarctic Ecology,''. Vol. 1, pp. 163 -236. Academic Press, New York. Bonner, W. N., and Laws, R. M. (1964). Seals and sealing. In Priestly, R., Adie, R. J., and Robin, G. DeQ. (eds. ), ''Antarctic Research,'' pp. 163-190. Butterworths, London. Boyd, I. L. (1993). Pup production and distribution of breeding Antarctic fur seals (Arctocephalus gazella) at South Georgia. Antarctic Sci. 5(1), 17-24. Broecker, W. (1987). The biggest chill. Natural History, October, pp. 74-81. Brown, S. G., and Lockyer, C. H. (1984). Whales. In Laws, R. M. (ed. ), ''Antarctic Ecology,'' Vol. 2, pp. 717-782. Academic Press, New York. Brownowski, J. (1973). ''Ascent of Man.'' Little Brown, Boston. Bush, W. M. (ed.) (1982). ''Antarctica and International Law: A Collection of Interstate and National Documents,'' Vols. 1, 2, and 3. Oceana, New York. Chevrier, M., Vernon, P., and Frenot, Y. (1997). Potential effects of two alien insects on a sub-Antarctic wingless fly in the Kerguelen islands. In Battaglia, B., Valencia, J., and Walton, D. W. H. (eds. ), ''Antarctic Environmental Change and Conservation," pp. 424-432. Cambridge University Press, London. Cook, G. (1990). ''The Future of Antarctica. Exploitation Versus Preservation.'' Manchester University Press, New York. Cooper, A. K., Barrett, P. J., Hinz, K., Traube, V., Leitchenkov, G., and Stagg, H. M. J. (1991). Ceno-zoic prograding sequences of the Antarctic continental margin: a record of glacio-eustatic and tectonic events. Marine Geol. 102, 175-231.
Cooper, A. K., Barker, P. F., and Brancolini, G. (eds.) (1995). ''Geology and Seismic Stratigraphy of the Antarctic Margin,'' Antarctic Research Series, Vol. 68. American Geophysical Union, Washington, D.C.
Darwin, C. (1859). ''On the Origin of Species by Means of Natural Selection, or the Preservation of Favoured Races in the Struggle for Life.'' John Murray, London. Dietz, R. S., and Holden, J. C. (1976). The breakup of Pangea. In Wilson, J. T. (ed. ), ''Continents Adrift and Continents Aground. Readings from Scientific American,'' pp. 126-137. W. H. Freeman, San Francisco. Drewry, D. J. (1983). The surface of the Antarctic Ice Sheet. In Drewry, D. J. (ed. ), ''Glaciological and Geophysical Folio,'' Sheet 2. Scott Polar Research Institute, Cambridge. Duxbury, A. C., and Duxbury, A. (1984). ''An Introduction to the Worlds Oceans.'' Addison-Wesley, London. Earth System Science Committee (1988). ''Earth System Science: A Closer View.'' National Aeronautics and Space Administration, Washington, D.C.
Einstein, A. (1954). ''Ideas and Opinions.'' Bonanza Books, New York. El-Sayed, S. Z. (1977). ''Biological Investigations of Antarctic Marine Systems and Stocks (BIOMASS),'' Vol. 1, ''Research Proposals.'' Scott Polar Research Institute, Cambridge. Ethridge, D. M., Steele, L. P., Langenfelds, R. L., Francey, R. J., Barnola, J.-M., and Morgan, V. I. (1998). Historical CO2 records from the Law Dome DE08, DE08-2, and DSS ice cores. In ''Trends: A Compendium of Data on Global Change. Carbon Dioxide Information Analysis Center, Oak Ridge National Laboratory.'' U.S. Department of Energy, Oak Ridge. (http:// cdiac.esd.ornl.gov/trends/co2/lawdome.html). Fairbanks, R. G. (1989). A 17,000-yr glacio-eustatic sea level record: Influence of glacial melting rate on the Younger Dryas event and deep-ocean circulation. Nature 342, 637-641. Fischer, W., and Hureau, J. C. (1985). Food and Agricultural Organization of the United Nations (1977). ''The Living Resources of the Southern Ocean,'' Vols. 1 and 2. United Nations, Rome. Franklin, B. (1746). ''Poor Richard's Almanack.'' Philadelphia. Gambell, R. (1985). Birds and mammals—Antarctic whales. In Bonner, W. N., and Walton, D. W. H. (eds. ), ''Antarctica: Key Environments," pp. 223-241. Pergamon Press, New York. Garrels, R. M., Mackenzie, F. T., and Hunt, C. A. (1975). ''Chemical Cycles and the Global Environment. Assessing Human Influences." William Kaufmann, Los Altos, CA. Goethe, J. W. von (1808). ''Faust.'' J. G. Cotta, Tübingen, Germany. Greene, S. W., Gressitt, J. L., Koob, D., Llano, G. A., Rudolph, E. D., Singer, R., Steere, W. C., and Ugolini, F. C. (1969). ''Terrestrial Life in Antarctica. Antarctic Map Folio Series,'' Folio 5. American Geographical Society, New York. Gremmen, N. J. M. (1997). Changes in the vegetation of sub-Antarctic Marion Island resulting from introduced vascular plants. In Battaglia, B., Valencia, J., and Walton, D. W. H. (eds. ), ''Antarctic Environmental Change and Conservation." Cambridge University Press, London, pp. 417-423. Hardin, G. (1960). The competitive exclusion principle. Science 131, 1292-1297. Hawking, S. W. (1988). ''A Brief History of Time from the Big Bang to Black Holes.'' Bantam Books, New York. Hedgpeth, J. W. (1969). ''Distribution of Selected Groups of Marine Invertebrates in Waters South of 35°S Latitude,'' Antarctic Map Folio Series, Folio 11. American Geographical Society, New York. Heisenberg, W. K. (1958). ''Physics and Philosophy.'' S. Hirzel, Stuttgart. Heywood, R. B., and Whitaker, T. M. (1984). The marine flora. In Laws, R. M. (ed. ), ''Antarctic Ecology,'' Vol. 2, pp. 373-420. Academic Press, New York. Holdgate, M. W. (1984). The use and abuse of polar environmental resources. Polar Record 22, 25-48. Houghton, L. G., Filho, M., Callander, B. A., Harris, N., Kattenberg, A., and Maskell, K. (1996). ''Intergovernmental Panel on Climate Change 1996: Climate Change 1995: The Science of Climate Change.'' Cambridge University Press, Cambridge. Huntford, R. (1979). ''Scott and Amundsen.'' G. P. Putnam's Sons, New York. Huntford, R. (1985). ''Shackleton.'' Fawcett Columbine, New York. Huxley, T. H. (1868). A liberal education and where to find it. In Huxley, T. H. H. (1895). ''Collected Essays: III: Science and Education.'' Appleton, New York. Imbrie, J., McIntyre, A., and Mix, A. C. (1989). Oceanic response to orbital forcing in the Late Quaternary: observational and experimental strategies. In Berger, A., Schneider, S. H., and Duplessy, J.-C. (eds. ), ''Climate and Geosciences: A Challenge for Science and Society in the 21st Century,'' pp. 121-164. Kluwer, Boston. Jacobs, S. S. (1992). Is the Antarctic ice sheet growing? Nature 360, 29-33. Keeling, C. D., and Whorf, T. P. (2000). Atmospheric CO2 records from sites in the SIO air sampling network. In ''Trends: A Compendium of Data on Global Change. Carbon Dioxide Information Analysis Center, Oak Ridge National Laboratory.'' U. S. Department of Energy, Oak Ridge. (http:// cdiac.esd.ornl.gov/trends/co2/sio-mlo.htm). Kennett, J. P. (1977). Cenozoic evolution of Antarctic glaciation, the Circum-Antarctic Ocean and their impact on global paleoceanography. J. Geophys. Res. 82, 3843-3859. Kennett, J. P. (1982). ''Marine Geology.'' Prentice-Hall, Englewood Cliffs, N.J.
Kerr, R. A. (1993). The ozone hole reaches a new low. Science 262, 501. Knox, G. A. (1970). Antarctic marine ecosystems. In Holdgate, M. W. (ed. ), ''Antarctic Ecology,'' Vol. 1, pp. 69 -96. Academic Press, New York. Laws, R. M. (1977). Seals and whales in the Southern Ocean. Phil. Trans. Roy. Soc. (London) B279, 81-96. Leader-Williams, N. (1985). The Sub-Antarctic islands—introduced mammals. In Bonner, W. N., and Walton, D. W. H. (eds. ), ''Antarctica: Key Environments," pp. 318-328. Pergammon Press, New York. Lovelock, J. (1979). ''Gaia: A New Look at Life on Earth.'' Oxford University Press, Oxford. Lutgens, F. K., and Tarbuck, E. J. (1998). ''The Atmosphere: An Introduction to Meteorology.'' Prentice Hall, New Jersey. May, R. M. (1979). Ecological interactions in the Southern Ocean. Nature 277, 86-89. Milankovitch, M. (1938). Astronomische Mittel zur Erforschung der erdgeschichtlichen Klimate. Handbuch der Geophysik 9, 593-698. Milton, J. (1667). Paradise Lost, Book IV. Peter Parker, London. Morch, J. A. (1908). Improvements in whaling methods. Sci. Am. 94(5), 75. National Foreign Assessment Center. (1978). ''Polar Regions Atlas.'' Central Intelligence Agency, Langley, VA.
Parsons, T. R., and Takahashi, M. (1973). ''Biological Oceanographic Processes.'' Pergamon Press, Oxford. Payne, M. R. (1977). Growth of a fur seal population. Phil. Trans. Roy. Soc. (London) B279, 67-80. Petit, J. R., Jouzel, J., Raynaud, D., Barkov, N. I., Barnola, J.-M., Basile, I., Bender, M., Chappellaz, J., Davis, M., Delaygue, G., Delmotte, M., Kotlyakov, V. M., Legrand, M., Lipenkov, V. Y., Lo-rius, C., Pepin, L., Ritz, C., Saltzman, E., and Stievenard, M. (1999). Climate and atmospheric history of the past 420,000 years from the Vostok ice core, Antarctica. Nature 399, 429-436. Pickard, G. L., and Emery, W. J. (1982). ''Descriptive Physical Oceanography: An Introduction.'' Pergamon Press, New York. Picken, G. B. (1985). Marine habitats—benthos. In Bonner, W. N., and Walton, D. W. H. (eds. 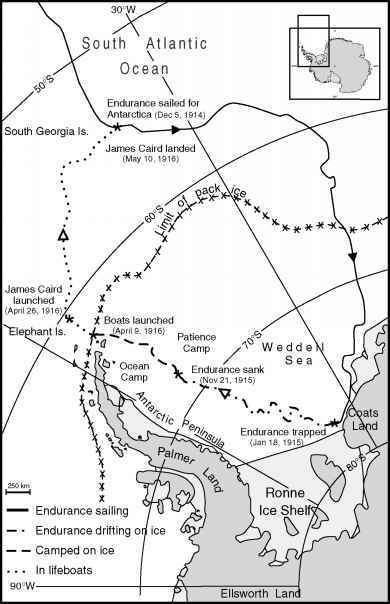 ), ''Antarctica: Key Environments,'' pp. 154-172. Pergamon Press, New York. Ryther, J. H. (1969). Photosynthesis and fish production in the sea. Science 166, 72-76. Schwerdtfeger, W. (1970). The Climate of the Antarctic. In Landsberg, H. E. (ed. ), ''World Survey of Climatology,'' Vol. 14, pp. 253 -355. Elsevier, New York. Stommel, H. (1958). The abyssal circulation. Deep-Sea Res. 5, 80-82. Sumich, J. L. (1996). ''An Introduction to the Biology of Marine Life.'' Wm. C. Brown, Boston. Tennyson, A. (1842). ''Poems,'' Vols. 1 and 2. W. D. Ticknor, Boston. Thurman, H. V. (1978). ''Introductory Oceanography,'' 2nd ed. Bell and Howell, Columbus. Tucker, M. E. (1992). Limestones through time. In Brown, G. C., Hawkesworth, C. J., and Wilson, R. C. L. (eds. ), ''Understanding the Earth: A New Synthesis,'' pp. 347-363. Cambridge University Press, Cambridge. United States Department of State (1995). ''Law of the Sea Convention: Letters of Transmittal and Submittal Commentary,'' U.S. Department of State Dispatch Supplement, Vol. 6(1). Government Printing Office, Washington, D.C.
Vincent, W. F. (1988). ''Microbial Ecosystems of Antarctica.'' Cambridge University Press, Cambridge. Webb, P.-N., and Cooper, A. K. (1999). SCAR Antarctic Offshore Stratigraphy Project (ANTOSTRAT). SCAR Report Number 16. Scientific Committee on Antarctic Research, Cambridge. Winograd, I. J., Coplen, T. B., Landwehr, J. M., Riggs, A. C., Ludwig, K. R., Szabo, B. J., Kolesar, P. T., and Revesz, K. M. (1992). Continuous 500,000-year climate record from vein calcite in Devils Hole, Nevada. Science 258, 255-260. Wylie, P. J. (1976). The Earth's mantle. In Wilson, J. T. (ed. ), ''Continents Adrift and Continents Aground: Readings from Scientific American, pp. 46-57. W. H. Freeman, San Francisco.